This comes more than a year after Souq started selling AmazonBasics, Amazon’s equivalent of a store brand with affordable products, in UAE. 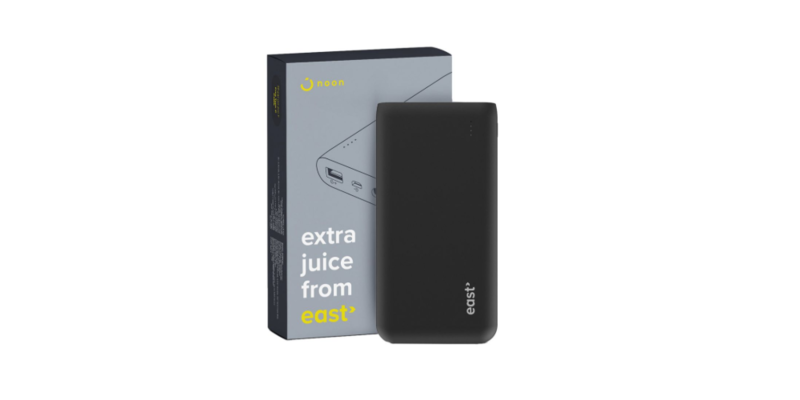 East by Noon currently has close to 90 products in different categories including power banks, USB cables, cookware, men’s clothing, and towels. A 20,000 mAh noon-branded power bank, at the time of writing, is listed on the website for the price of 129 dirham (after 24% discount). A similar power bank by Anker sells for 193 dirhams. This is not good news for small merchants on the platform as Noon will have an unfair advantage over them. The company could easily learn about the products that are doing well, expand into them and promote them over other brands. East is currently available in the United Arab Emirates and will soon launch in Saudi Arabia.